I am thankful for light, for sunrises, and gloriously sunny days. Even more importantly, I’m thankful for The Light of Heaven that shines brightly even in this dark world. There has been so much that is negative and sad in the news, yet as a believer in Christ, I know that once light is introduced to darkness, darkness cannot be present. It must flee. We have so much to be thankful for each day, but we do need to pray daily for our families and our children, for our pastors and churches, and for our government and our country. We need to pray for The Light to overwhelm the darkness. 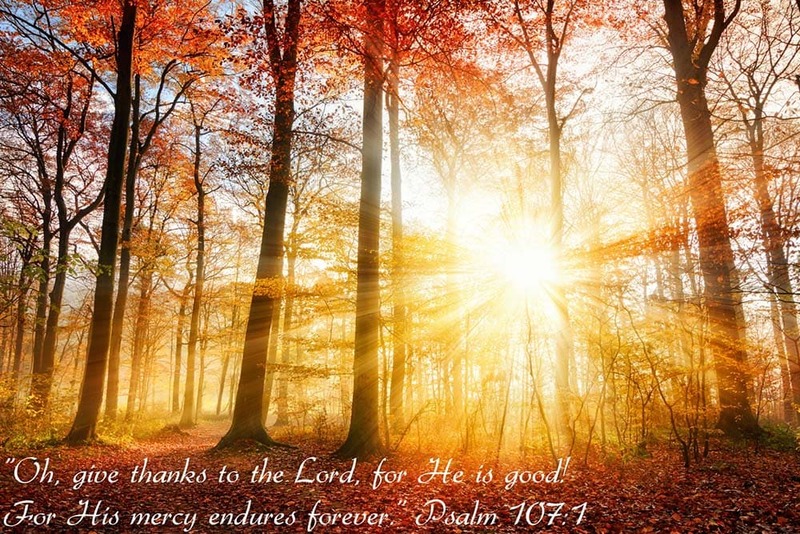 I’m giving thanks today for God’s Light that shines upon us and leads us to shine brightly for Him.